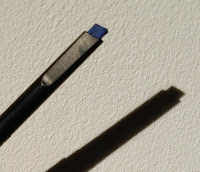 Due to the angled nib, you can choose how you wish to apply it. You can keep the pencil horizontal for a thinner line, or you can hold it vertically for a much thicker line and a more dramatic look. The Glimmerstick Flick Eyeliner is a creamy pencil which is good as it means less tugging on the eye. However, even though it applies fairly opaque on the back of your hand, it can be patchy when applied to the eye. It personally takes me a couple to a few strokes to achieve the preferred opacity. In regards to the flick, I find it easy to do, but that it can smudge easily. When I applied the eyeliner for the picture below, the flick was bold. 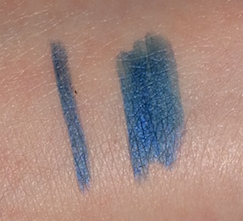 This photo was taken roughly ten minutes after application and as you can see, it has smudged around the flick tip. It doesn't completely ruin the look though. From a distance the smudge isn't completely noticeable, but it is if you get up close. Throughout the day, the eyeliner can smudge further, such as into the corner of your eyes and even underneath. With that said, the main line does stay put for a fairly decent amount of time, but I do use eye primer (for testing this I used Benefit’s Lemon Aid). I would imagine that without any primer, your main line could fade a lot quicker. In regards to the colour itself, I find it to be a beautiful shade, one that is flattering for all skin tones and eye colours. Overall, there are pros and cons to this eyeliner. It’s creamy and simple to apply and it makes flicks easy to achieve, but it is prone to smudging, even with eye primer. It has good longevity and the colour stays strong, but it won’t look as bold or vibrant as flicked eyeliner that is done with a liquid liner. 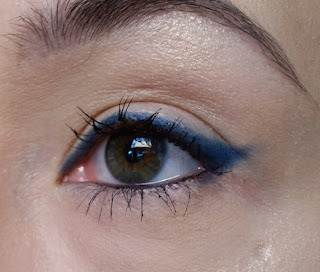 If you are the type of person who has already mastered the infamous eyeliner flick, I think that you would likely be happier with a liquid liner that can give you a polished finish. 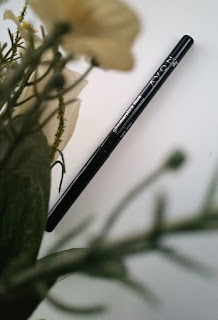 However, if you are new to the world of eyeliner and are trying to get your head around the flick look, this is a decent, affordable product to try out and practice with. It is good for its price. You can purchase the new Avon Glimmerstick Flick for an introductory price of £3.50 (then it will go up to £6) from Campaign 18 in the UK (which you may already have if your rep is a Trendsetter rep), or online at Avon soon (in which case I will update with the link). UPDATE: It is now available online to buy here. 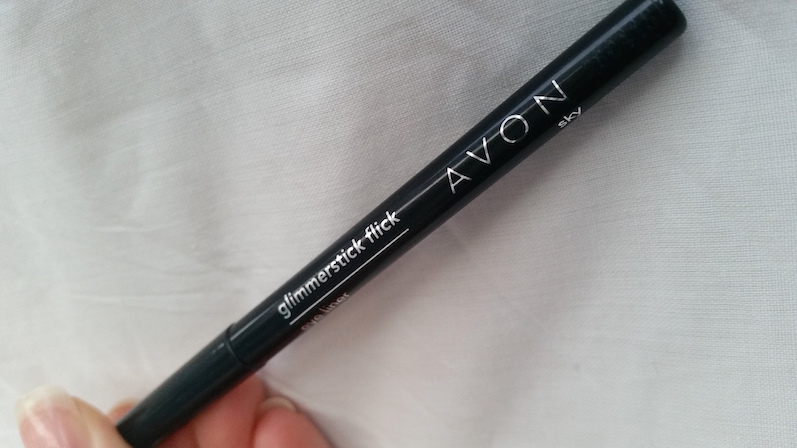 What are your thoughts on Avon’s Glimmerstick Flick? Do you prefer liquid or pencil eyeliner for flicks? Ooh this is interesting i've never tried the flick ones before only the usual glimmersticks!